Stade Mill wasn't moved to Cheriton. The Lower Mill was. Albion Mill, Blackhouse Hill, possibly a tower mill abandoned in the 1850's. Black Post Mill, St Leonards Road. 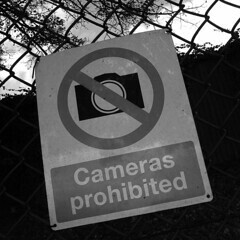 taken down in 1835. A small smock mill in St Leonards Road near Black Mill, taken down in 1835, of which some remains still exist, if you know where to find them. Windmill Street Mill, opened in 1835 after the previous two were demolished, but closed in the 1850's. Coldharbour Mill, which stood near the station and was moved to Lympne before 1821. And the watermill, Burch's Mill, which has been restored. Stade Mill was still functioning in the 1890's, and was the last survivor of the windmills. It was taken down in 1901 or 1902, by pulling out the windshaft by brute force from ground level. 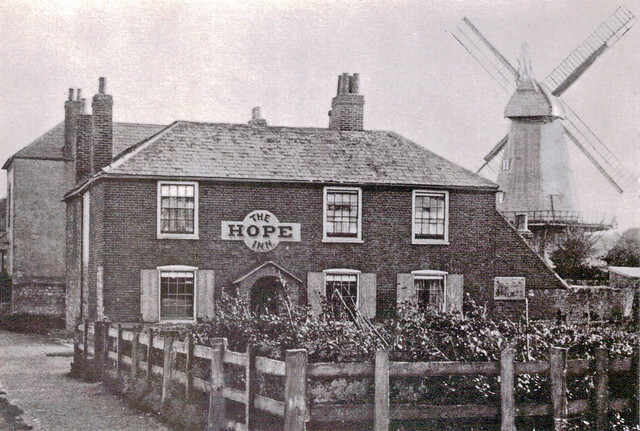 The Stade Mill and Hope Inn from an undated postcard. Stade Mill was possibly moved to Cheriton as the Ashley Mill in 1877.